Those few weeks before E3 are always filled with rumours from the very believable to the not-so-much and this year is no exception. According to the French website, Live Gen, Frontier Developments are working on a LostWinds game for the Wii U. 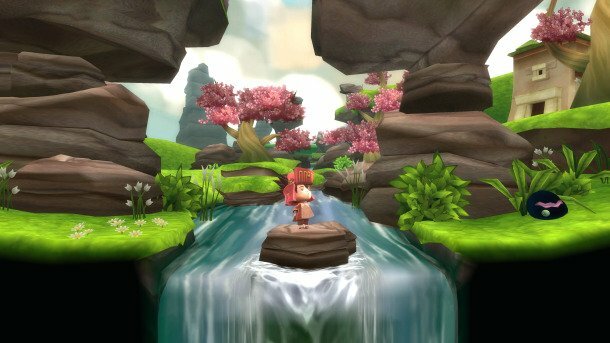 Apparently the site was told ‘in private’ that a LostWinds game was in developement for the Wii U and Live Gen also reported that recent job postings by the site hinted that they were working on ‘next gen’ consoles. Like all rumours I would take this with a pinch of salt and because most of this information is being deduced from Google Translate I would approach this information hesitantly. However, it’s not an unbelievable rumour as LostWinds was originally developed for WiiWare so a sequel on the Wii successor’s own download service does seem plausible.